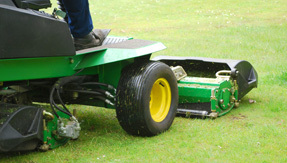 We are highly experienced in laying and fitting new lawns with excellent results each time. We offer competitive rates and a professional finish that you will be delighted with. 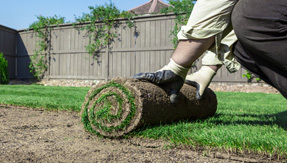 Our Grass/Lawn Turf is cut fresh every day, so we can deliver the highest quality instant lawn for you on time. Patios and decking enhance any garden space and require little maintenance. 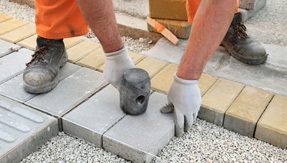 We have a range of patio options to suit all tastes, such as flagstones, brick & block paving, & paving slabs in sandstone, granite and slate finish. 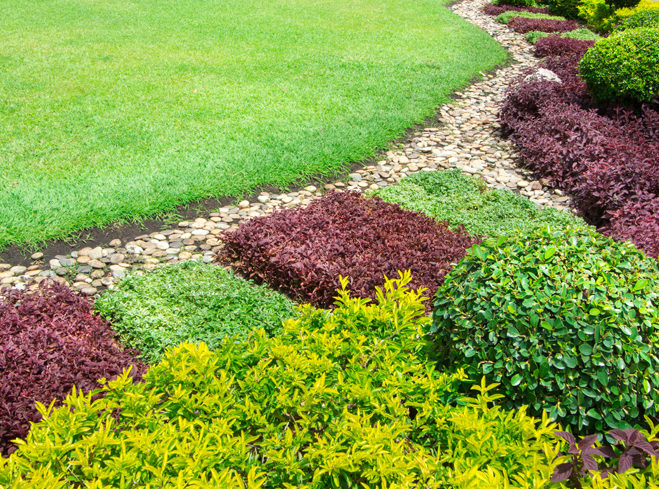 We offer complete garden maintenance services including; grass cutting, lawn treatment, hedge trimming, tree pruning and general garden maintenance. Maintenance contracts can be agreed on a monthly or seasonal basis. 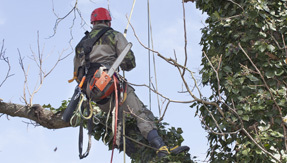 Our tree service include; tree felling, tree crowning, tree sugery and tree removal. Trees can become hazardous and we have the experience and the right tools to get the job done safely. We work across Dublin and it's neighbouring counties, services both corporate and residential clients. Our service is second-to-none. Click below to see examples of our work. 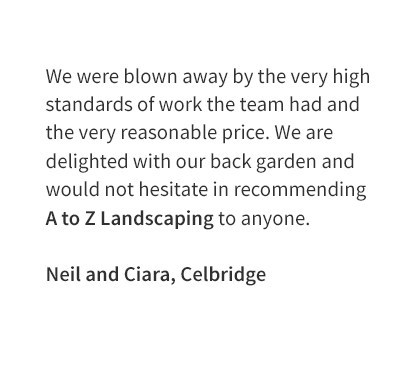 We will help you realise your dream garden! © 2016 A to Z Landscaping. All Rights Reserved.